You wait in breathless anticipation as the lights dim and a hush falls over the crowd. The red curtain finally rises. It’s show time!  Macomb County’s performing arts scene is rich with music, theatre, and dance groups for all ages and levels. Whether you’re happiest in the spotlight, behind the curtain, or among the audience, there’s something for everyone! Browse our list of 25 performing arts groups and venues below to find the group that’s just right for you! Whether you’re a ballerina who’s been on pointe since you could walk, or you prefer to watch the magic from the audience, Macomb County has the dance group that’s just right for you! Have you always dreamed of performing in a symphony orchestra? Do your toes start tapping when you hear an a cappella group start to sing? Check out Macomb County’s best musical groups here! No matter if you’d rather take a bow or give a standing ovation, Macomb County’s theatre groups offer something special for everyone! Hosting everything from full-stage musicals to comedy nights to show choir extravaganzas, here are the best performing arts venues in Macomb County! You can check out our countywide public art map by clicking the image above. Interested in submitting a piece to the map? Access our submission form here.